I got this great frog in the mail this week. He is a thank you gift from my Betty Swap I was in for Christmas. Margaret, my new Cajun friend, was who I sent a big box of goodies to for the swap. 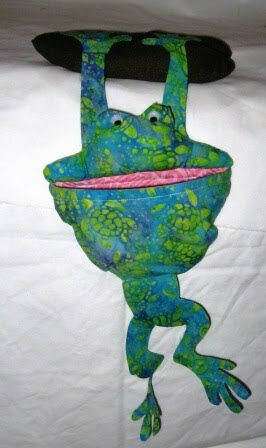 She has made the frog for me as a thank you. He is a pin cushion and a thread catch. Perfect for beside my sewing machine. The lime green batik fabric is one of my favorite fabric ever. 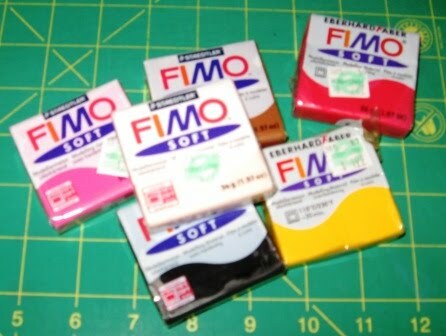 She has also sent me a stash of Fimo clay because I work with polymer clay sometimes too. How lucky am I!